This is the first of a two part blog series describing the green restoration process. This first part begins by repairing the frame and refinishing the wood. The second part will cover the upholstery process, or anything related to textiles and cushioning. The art of upholstery, like the art of any cool skill, has many steps to achieve the desired goal. Custom upholstery, unlike the fast and cheap deals of ‘chop shop’ upholsterers, focuses on total restoration from the ground up. Sometimes new clients are surprised by the cost of restoring a couch or chair, and innocently unaware of the extensive work and quality inside the seat. This restoration process reflects the spirit of ‘quality over quantity’. The most efficient way to remove all materials is to work backwards, in the same sequential steps as when they were applied. That means upside down and generally from back to front. While removing each layer I learn how the chair was assembled and quite literally, what it’s made of. On LEFT, start stripping from the bottom. THIS picture, stripping in sections for efficiency. Inside we find cheap cardboard, crumbling flame retardant foam, and a few acorns. This is the messiest step since it releases dormant dust, crumbled flame retardant foam, and everything else that has accumulated in the fabric and foam. Everything is discarded, except for feathers and horsehair which can be washed and reused. The frame looks more like a skeleton and can now thoroughly be inspected for cracks and weaknesses. If the frame is solid hardwood construction with glued dowels and screws, then only the holes from the removed staples are filled. All our new custom frames are made this way and have a lifetime warranty, hence, such frames rarely need repairs. All holes from staples and nails are filled with a non-toxic mix of glue and sawdust. A broken frame no more thanks to glue! If the frame is economically built with staples and plyboard, then stress points are strengthened with screws, glue, more wood, and putty. A frame without holes and cracks is a sturdy foundation that will support tight layers of cushioning and rugged daily use. Even a few scuffs look awkward next to a freshly upholstered seat and are easily removed with furniture oil and a delicate sanding. Scratches can be filled and color blended in and dents can be pulled out using antique restoration methods. But peeling, discoloration, and uneven texture require a chemical stripper to expose the raw wood. Stripping outside offers the best lighting and air circulation. It's also pretty liberating when it's your first time. The right gear when stripping wood will keep your eyes and lungs from accidentally melting away. The secret to good stripping is taking it all off…right? LOL, I mean the diligence required to remove all the varnish in all the crevices requires patience to reveal the naked wood underneath. Sanding itself moves in a few steps, from coarse to fine grit sandpaper that will smooth texture and remove stain and remnants from the stripping stage. An electric sander is faster, but usually too rough and clunky for certain styles. Hand sanding guarantees I can control the surface texture, even color removal, and overall shape of the frame. I check my work by closing my eyes and running my hand over sanded surfaces, and lightly sanding til it feels evenly smooth. No need for any stains since our custom frames are offered in many hardwoods. Click through and learn more about our Custom Services. This step marks the beginning of easy sailing with just the stain and varnish left. I always apply stain by hand using a clean cotton jersey knit, work quickly, and wiping it all off in a timely manner for even coating. I prefer soya (soybean) oil based stains for ultimate control, and it’s a great alternative since the only petroleum oil based materials I use are thread, zippers, and sometimes the outer fabric (click here to learn more about Materials I use). Bright colors are best as water based stains and are a challenge even when prep-conditioner is used. At this point, the quality time spent during the prep sanding will show as even toned stain and reveal hidden grain lines. Staining is an opportunity to change the wood color. It’s so satisfying to just wipe on the varnish and the dull wood instantly becomes this glowing piece of life. I prefer a water based low sheen, satin finish that aligns with today’s modern aesthetics. Yuck glossy, I say, yuck that yellowish glossy varnish! Once the varnish coats are dry, a final sanding with a super fine grit makes the surface lustrous and silky. Come back January 17 for the second part of the restoration process: green upholstery! If you can’t wait til then, call or text me at (213) 618-2143 now to start restoring your favorite chair. Interested in learning more? 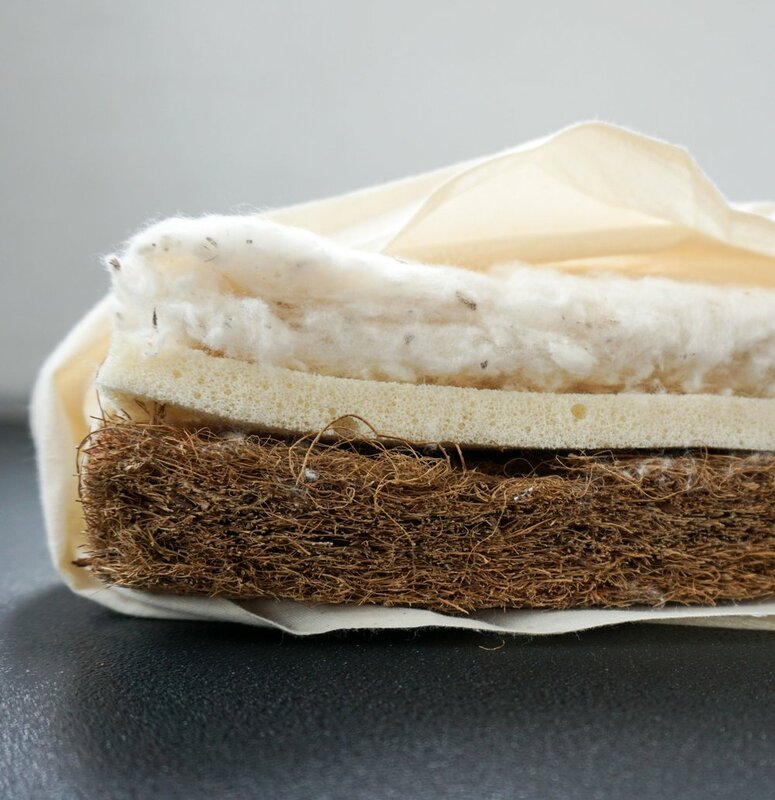 Read about more green upholstery topics below! 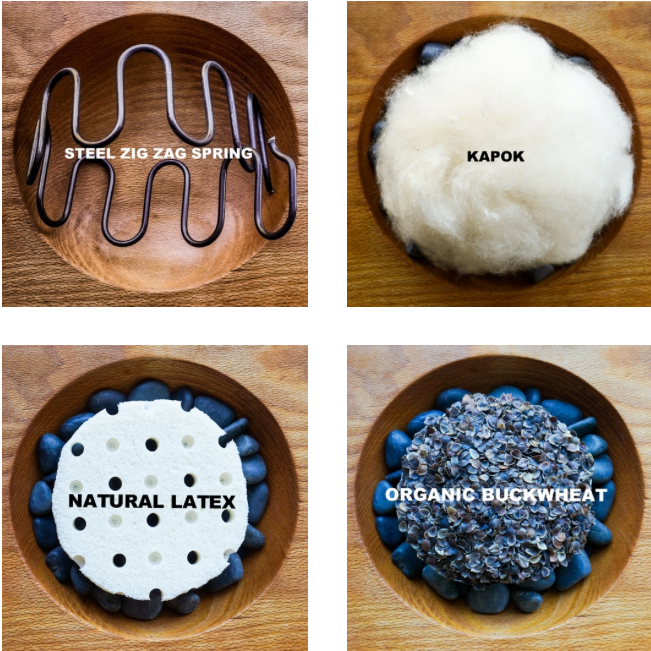 All our materials are non-petroleum, sustainable, and non-toxic! Click through and explore them all! Why do non-petroleum materials matter? 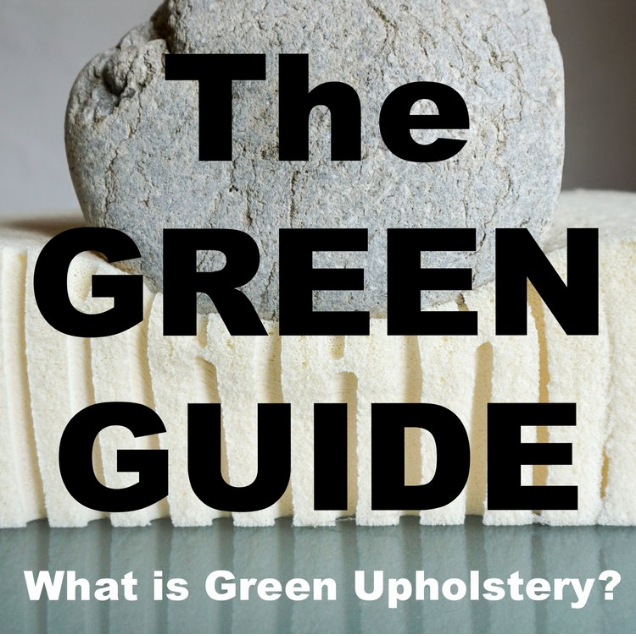 Learn how Green Upholstery is better for your health!